Situated on beautiful Hastings Street Noosa Bistro C Restaurant also specialises in weddings and events, with sweeping views over Noosa’s Laguna bay this iconic beachside bar and restaurant provides the perfect combination of sophistication and relaxed ambience. With so many breathtaking beachside ceremony locations in walking distance, the short stroll from ceremony to reception is a wonderful way for your guests to arrive. The restaurant features a very eclectic and uniquely styled interior finishes, with a modern rustic coastal fit out and extraordinary décor and art features, the beachside space has a very unique coastal style. 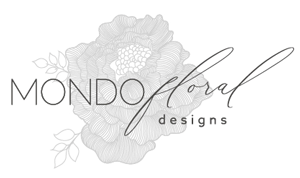 We have been creating beautiful concepts at Bistro C for many years and love putting our floral stamp on the beautiful space. Modern timber tables feature at reception and meld beautifully with the beach outlook and the water views. We often showcase a combination of eclectic brass and glass vessels on the reception tables, the eclectic bohemian nature of the old world vases is the perfect fusion with the diverse interior.